We are launching several new products this week… yesterday i mentioned the cocoa butter massage bars. Today i want to tell you about our latest sugar scrub. 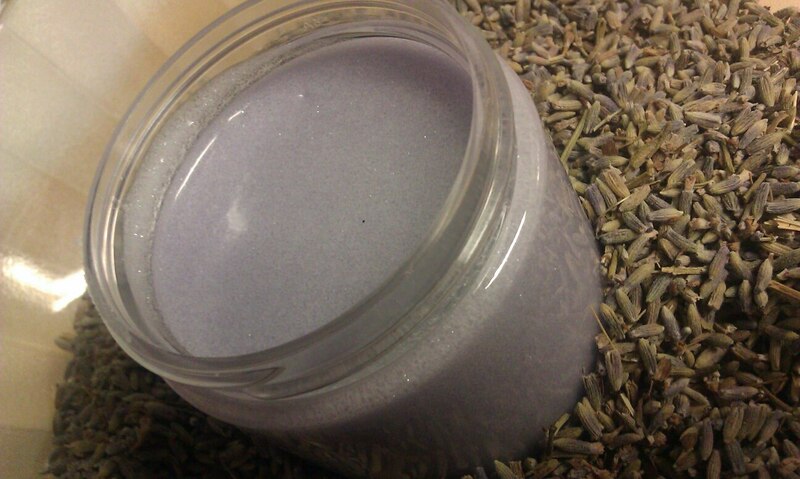 Lavender Breeze is a clean and calming essential oil blend of Lavender and Vanilla. Soft notes of vanilla, and rich fragrant lavender dance in harmony and a complexity that relaxes you. Our sugar scrub is made with a blend of oils that is whipped with shea butter until creamy, essential oils and sugar added, and blended thoroughly. This scrub is gentle to the skin, and wonderful for even your face. The oils re-moisturize dry skin, and especially in winter we need all the help we can to overcome that nip of frost in the air. We are big fans of lavender. We have 10 lavender plants in our back yard, which supply us with an ample harvest of flower buds. Interesting trivia – Lavender comes from the word lavar – which means to wash. Lavender was often associated with personal grooming and cleaning because of its clean fragrance, and its calming nature.